Takara wants us to BeCool! Bot Shots has been a huge success here in the states and Japan is testing out the market to see if these little guys can bring in the big Yen! Straight from Japan I bring you two with the most different recoloring. Shimmery Red Mirage and Silver Grill Armored Bumblebee. The Takara Bot Shots have different images on their chest, this one in the picture below is the funniest, rice snack! Based on the lack of instructions it looks like the rock, paper, scissor is not present on these Bot Shots. Perhaps rice snack beat all three sword, fist, and gun? 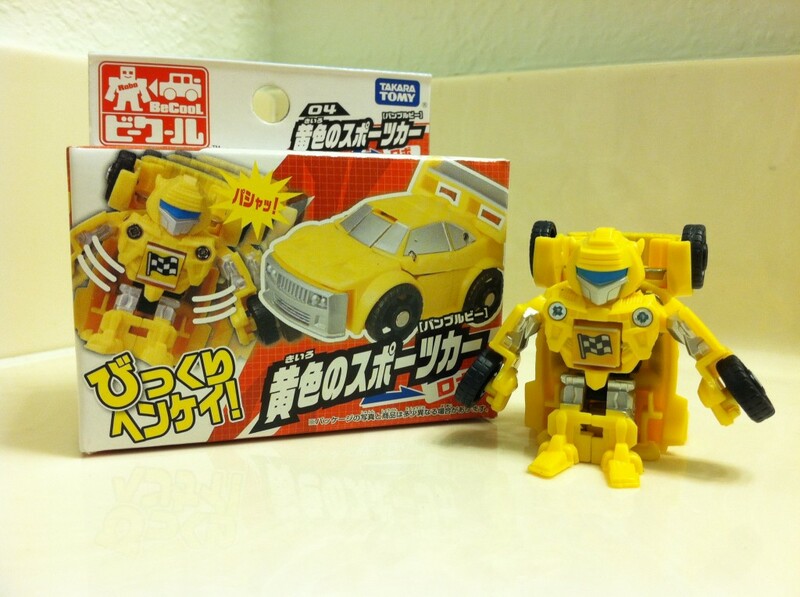 As if there wasn’t enough Bumblebee’s this one is similar to the armored Bumblebee but he has a silver front grill. There is a bunch more in their wave 1, most all with same coloring as U.S. releases. There is already pre-orders for wave 2 from Hobbylink Japan. Grab these novelties while they last! 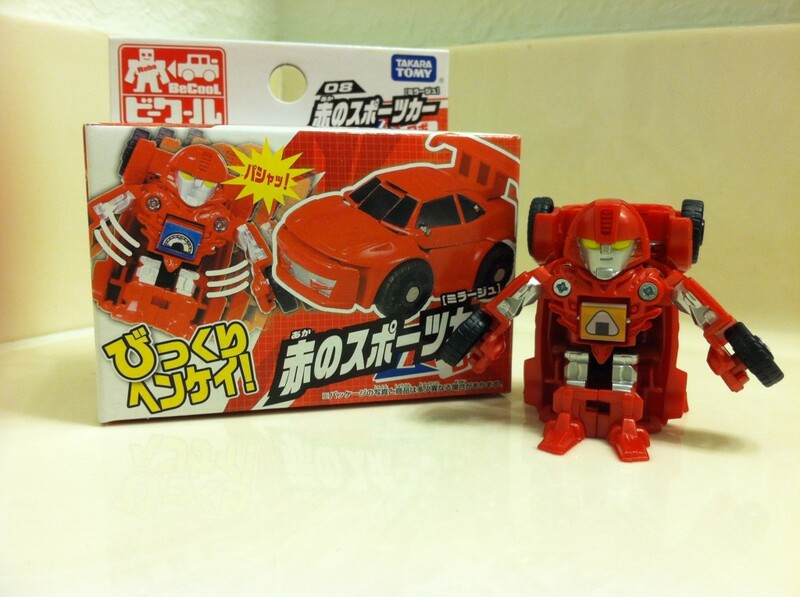 This entry was posted in From Japan and tagged BeCool, bot, bot shots, Import, Japan, Japanese, Red Mirage, shots, Takara, Takara Tomy. Bookmark the permalink.